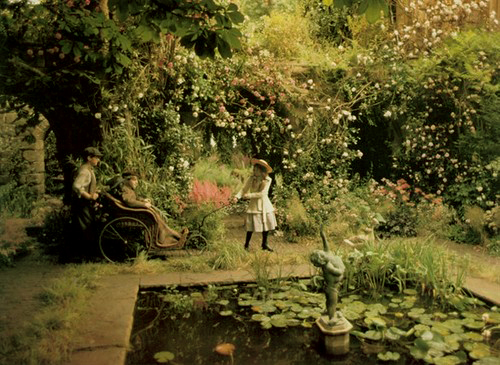 I remember when I was a little girl, I was obsessed with the movie The Secret Garden (and A Little Princess!) and ever since then, I have always wanted my own secret garden tucked away somewhere and the only way to unlock this beautiful place is with a special skeleton key. It will happen one day, and it'll be my perfect little hideaway to escape and relax. I mean, come on! Who wouldn't want that? This look is inspired by the luscious foliage that you would expect to encounter there, and I decided to make it a smokey look to oomph up the mysteriousness. I hope you guys are doing well and that you enjoyed this look! What was your favorite movie growing up? Along with the Secret Garden and A Little Princess, I was a Disney freak as well! I desperately wanted to be Ariel and I would purposely wear green socks in the bath tub so I could have "fins". Oh, the memories! I wanted to be Ariel too and would spin around endlessly in the living room during singing Part of Your World. Beautiful as always! The very definition of smouldering. 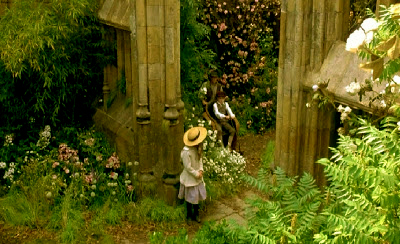 I have never seen the secret garden. Maybe this weekend? Gorgeous makeup. Love your eyes. Wow! I absolutely love this makeup!! This is stunning. I love that dark green to gold colour. WOW sin palabras me dejas, una pasada de bonito es espectacular. Besiños. Wow this looks amazing on you Ronnie! I love the eye look and the lip color looks amazing on you too! I finally saw this movie back in October 2012. I loved it. I think you captured it perfectly! This is beautiful. Too bad that the TKB Taurus Orion is discontinued:( Do you know of a Dupe for it?